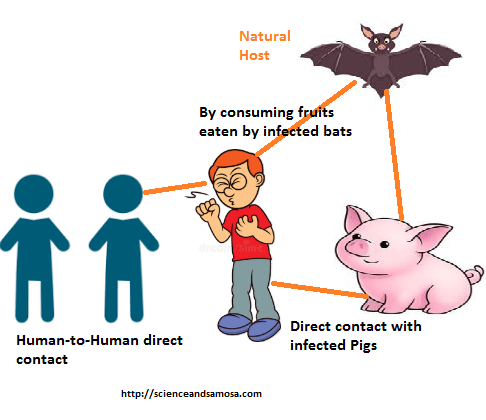 With toll from Nipah virus rising and fear psychosis gripping people across Kerala and rest of South India, it’s necessary to understand this deadly virus and its spread pattern and symptoms in detail. This RNA virus was first identified in 1998 at Kampung Sungai Nipah, in Malaysia. At that time, pigs were the intermediate hosts. But, in subsequent NiV outbreaks, there were no intermediate hosts. In 2004 in Bangladesh, humans got this virus by consuming date palm sap that had been contaminated by infected fruit bats. Two outbreaks of Nipah happened prior in India in West Bengal in 2001 and 2007 killing 50. The matter of concern comes from the fact that no drugs are available in market that can kill this emerging zoonotic virus.